Robot Entertainment and Sony Worldwide Studios are bringing a dungeon crawler that has a twist called ReadySet Heroes, which was announced on today’s PlayStation State of Play stream. 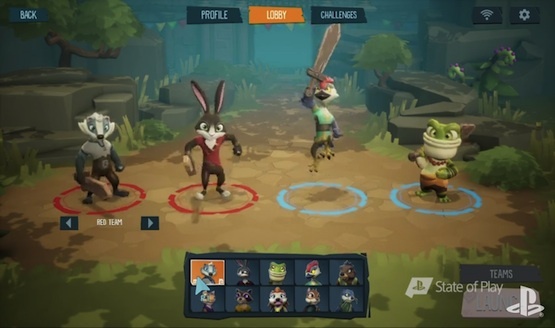 It will support up to four players across online and offline multiplayer through splitscreen. ReadySet Heroes is set to release on PS4 sometime in 2019. The developer Robot Entertainment previously developed the Orcs Must Die series with the most recent entry Orcs Must Die: Unchained being free-to-play. It features tower defense gameplay with the War Mage, a Sorceress and a Blackpaw setting up traps for their incoming enemies. Every hero has a set of unique powers and abilities to help take out the orcs. Have you tried out this series before? The PlayStation State of Play live stream also revealed a new release date for Blood & Truth, a new Five Nights at Freddy’s VR game, a story trailer for Concrete Genie, more characters confirmed for Mortal Kombat 11, Iron Man VR, Crash Nitro Kart tracks and modes in Crash Team Racing Nitro Fueled and more. Are you interested in trying out ReadySet Heroes and its unique dungeon crawling mechanics? What did you think of the State of Play live stream? Let us know!